Cirsium riv. 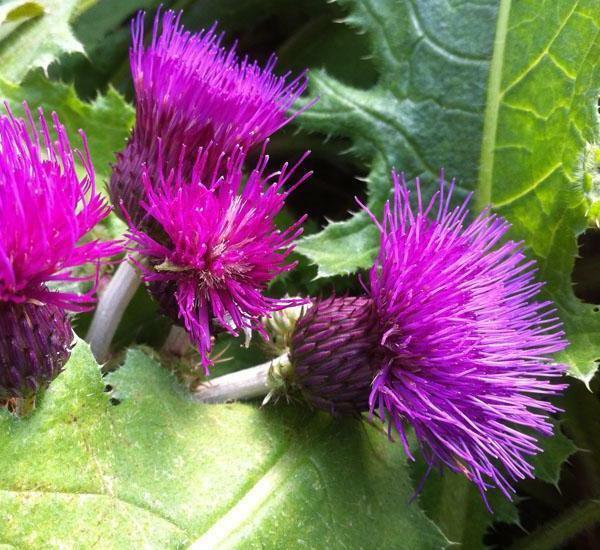 'Trevor's Blue Wonder' is a non spiny cirsium. The stems are a mixture of white pubescence and purple with silvery green basal foliage. Flowers are not a 'true' blue, more of a lovely deep heather purple during June through to September. A good flower to attract wildlife. Likes a well drained sunny position. Hardy. Height 1 m.